Jilila Kumar’s children adore her and see her as their best role model and epitome of love. Just days before it was made known that she would become our newest member of Parliament, daughter Elizabeth Lal posted a picture of herself with her mother on the social networking site Facebook singing her praises. “She is my role model, she taught me sacrifice, to have a loving and caring heart, to be joyful, happy and have perseverance,” the second eldest said. Mrs Kumar will fill the vacant seat left by Dr Neil Sharma. Dr Sharma has vacated his seat after he resigned from the FijiFirst Party. Mrs Kumar was 34th in the FijiFirst party list. Congratulatory messages are already pouring in. But she is not commenting until the Fijian Electoral Commission has confirmed her election. Mrs Kumar, a retired teacher, is married to school teacher Dhiren Kumar and they have three children, two daughters and a son. They live in Lautoka. She had a Certificate in Primary education from Fulton College and later acquired a Bachelor of Arts and Certificate in Primary Education. She has a long career in teaching and last year retired as the vice-principal of Jasper Williams High School in Lautoka. Her younger brother, Napolione Kanahara Nakibo, said he was proud to have a sister like her. “She is a very caring, hardworking and a kind lady and has always been a role model for everyone in the family,” Mr Nakibo said. Not only that, Mr Nakibo said she was a fine example for villagers of Tubeirata, in the district of Mavua, Nadroga. “People would look up to her and go for her advice,” she said. 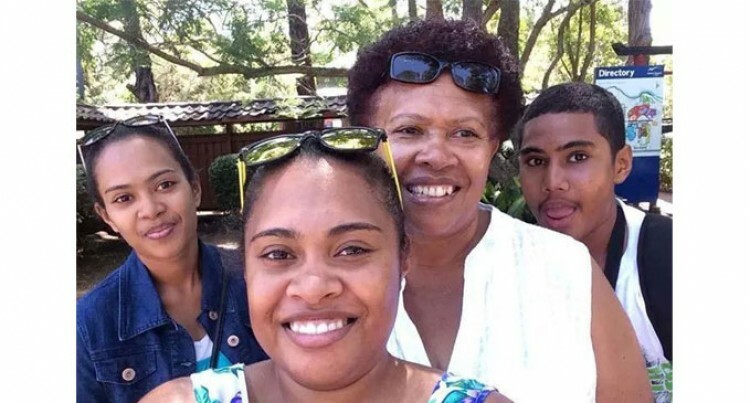 She was born and bred in Sigatoka Valley, a daughter of a farmer. Mr Nakibo said Mrs Kumar was an epitome of love, sacrifice and strength. Mr Nakibo, who is very fond of his sister, said it was because of her support, he was able to finish high school and pass his Fiji School Leaving Certificate Examination. “When she decided to join politics and be part of the FijiFirst, we were all elated by her decision and supported her throughout,” he said. “It was due to her interest in social and community work that led her to join politics. He said his sister was ready for the path ahead and wished her all the best. Mrs Kumar, 56, is in Australia on a holiday and is due back in the country early next month.